The Estonian Materials Technologies Competence Centre (MATECC) has just signed an agreement with the European Space Agency. 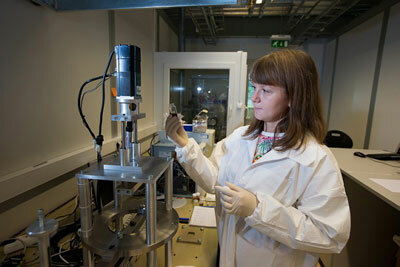 Researchers of the centre and of the University of Tartu will start to develop a nanotechnology lubricant suitable for extreme conditions. Researchers propose the application of egg white as the size-controlling agent in the production of oxide nanoparticles. Tyndall National Institute has partnered with US and Northern Irish research institutes to secure 1 million euros in funding to develop new ways of harnessing converted electricity. The Nano-GaN Power Electronic Devices project has the potential to have a global impact across the entire power electronics industry. A proposed pathway to construct quantum computers may be the outcome of new research that has created a new molecule based on the interaction between a highly-excited type of atom known as a Rydberg atom and a ground-state atom. 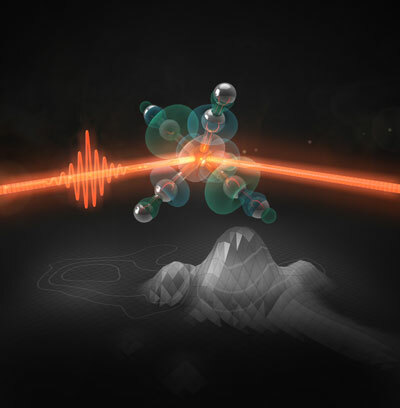 An experiment has revealed an unlikely behavior in a class of materials called frustrated magnets, addressing a long-debated question about the nature of these discontented quantum materials. The work represents a surprising discovery that down the road may suggest new research directions for advanced electronics. The study also someday may help clarify the mechanism of high-temperature superconductivity, the frictionless transmission of electricity. Imagine you need to have an almost exact copy of an object. Now imagine that you can just pull your smartphone out of your pocket, take a snapshot with its integrated 3-D imager, send it to your 3-D printer, and within minutes you have reproduced a replica accurate to within microns of the original object. 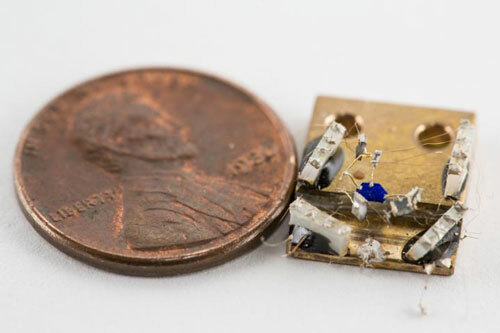 This feat may soon be possible because of a new, tiny high-resolution 3-D imager developed at Caltech. Study shows nanomedicine therapy reduces heart attack risk by halting artery plaque growth and suppressing inflammation. 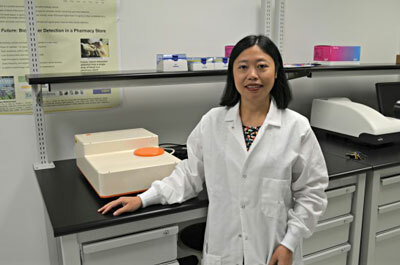 Cancer biomarkers cling to gold nanoparticles, providing more accurate early-stage detection. 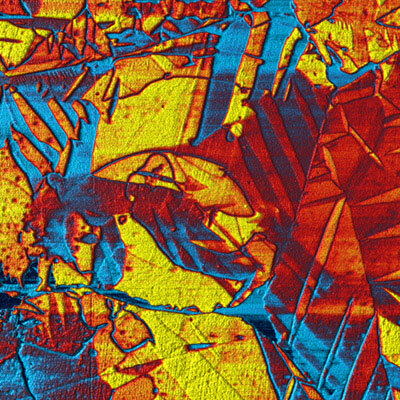 Bonding behaviour of iron pentacarbonyl experimentally decoded. 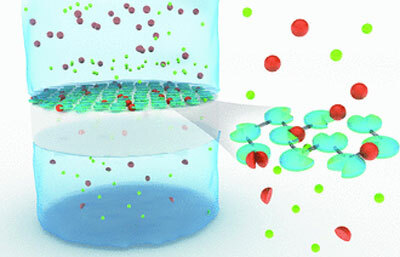 Application as a catalyst for storing solar energy. 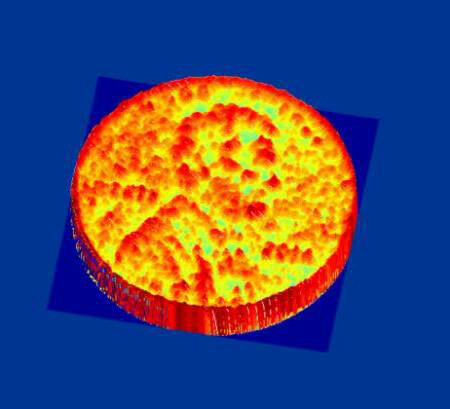 Oxford Instruments Asylum Research will host a two-part webinar series on Piezoresponse Force Microscopy (PFM), May 4 and May 6, 2015. 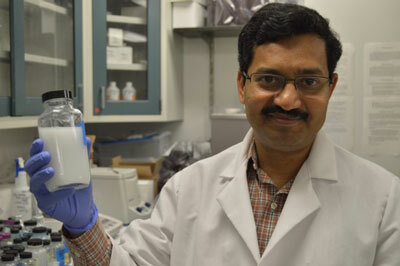 Could a nanoparticle stem the plague of citrus greening? USDA grant funds field trials of Zinkicide, a nanoparticle bactericide. 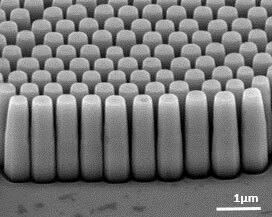 Engineers have combined innovative optical technology with nanocomposite thin-films to create a new type of sensor that is inexpensive, fast, highly sensitive and able to detect and analyze a wide range of gases. 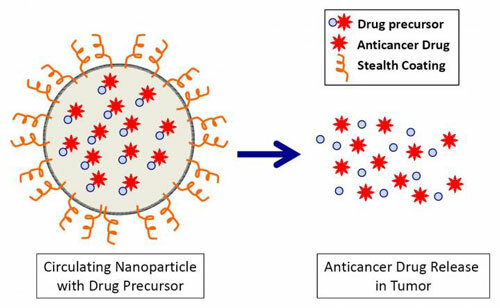 Delving into the world of the extremely small, researchers are exploring how biodegradable nanoparticles can precisely deliver anticancer drugs to attack neuroblastoma, an often-deadly children's cancer. The approach may represent a new fourth arm of targeted pediatric cancer treatment, joining T-cell immunotherapy, radioactive isotopes and kinase inhibitors that disrupt cancer-driving signaling. Researchers have developed a scalable production method for a state of the art alloy for the use in solid state thermoelectric devices. This new alloy is nearly twice as efficient as existing materials and may lead to a new host of applications. Uses include refrigeration, consumer electronics, transportation as well as novel devices which have not been produced yet do to the inefficiencies of existing materials. Novel enzymatically active membranes can complete two steps in one: they can enzymatically split proteins and simultaneously separate the products. The membranes are produced by cross-linking pepsin on a porous support, a simple process that is also applicable to other enzymes and on an industrial scale. 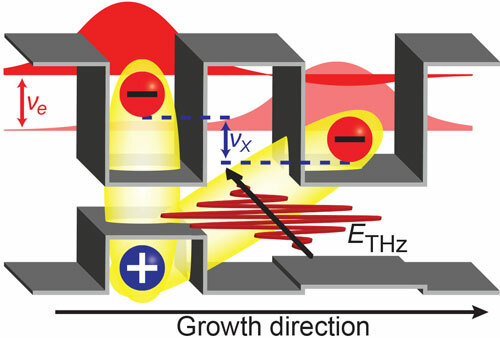 Researchers noticed a new kind of transport phenomenon for charges. In the phenomenon, a pair formed by a negative electron and a positive charge moves onto an interface, after which its 'message' is passed on to the other side of the interface, where it is carried on by a similar pair. The new theoretical result opens up interesting prospects for carrying out logical operations in electronics.